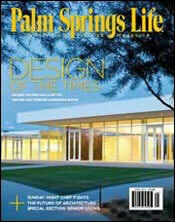 Palm Springs Life Magazine publishes information about Palm Springs and lifestyles of Palm Springs residents. First published in 1958 it has been providing entertainment for residents and travelers for over 50 years. 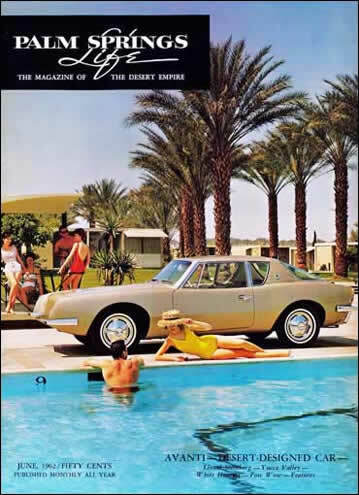 A 1963 Studebaker Avanti is shown on the cover of the June 1962 issue photographed at the Eldorado Country Club in Palm Desert. A recent Palm Springs Life. Beauty and glamour of the Palm Springs desert landscape. Palm Springs LIfe, The Magazine of The Desert Empire. The 63 Studebaker Avanti appeared on the June 62 cover.